Prolific London, UK based DJ/producer who debuted on Blueprint in 1996. 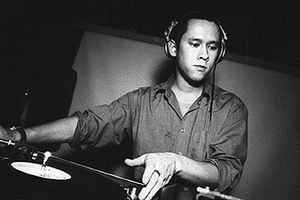 Founded his own label, Meta in 1997 and continued to develop his style towards a more dancefloor friendly brand of funky tribal techno, while retaining experimental elements and continuing to produce for other labels. Later set up a number of sublabels under Meta to cater for a widening repertoire of electronic styles, incorporating influences from jazz, funk, fusion, rock and avant garde styles of all kinds. a lot of overdue respect needs to be paid here. if you want quality in your techno production this is your man. it is guaranteed that you will find inventive, solid techno recordings everytime. oliver has been at this for years and i cannot name one bad release he has made to date. the artistic vision is always there. Ho's contribution to the British techno scene has been first class from his early Blueprint releases through to his more experimental work on his Light & Dark imprint. With his (fantastic) Meta imprint the listener can easily hear his sound evolve from the harsh, metallic outings of early Meta releases through to his more tribal influenced 12"s. Ho's study and fascination with the human voice as an instrument and musical tool has been prevalent throughout his input of the last 4 or 5 years; a similar path taken by his contemporary Max Duley on his Arc label.